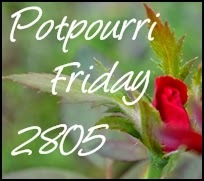 Hi and welcome to Potpourri Friday #19! 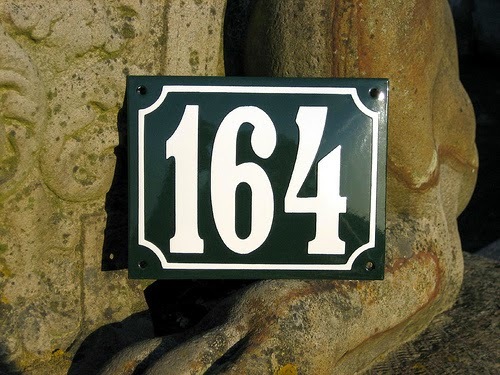 a traditional home or apartment, you should enjoy having a house number sign from Ramsign! It can be used inside or out. Go here for the complete scoop! 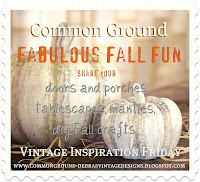 Ready for some inspiration from last week? All features will be pinned for my Pinterest page. 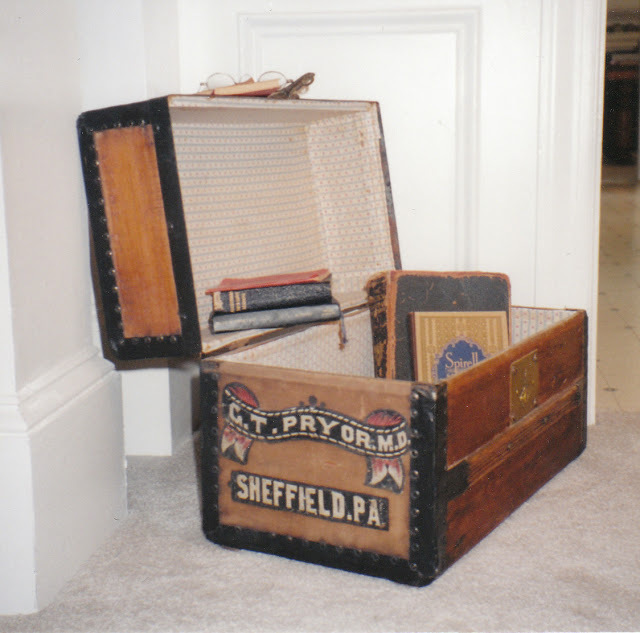 Gail at Bible Love Notes has a wonderful collection of vintage trunks. If you were featured, please feel free to grab the “Featured” button on the sidebar. Also, please note, if you were featured at the Christmas Tree Party, please feel free to take the "Featured" button. Thanks to everyone for your inspiration and participation. 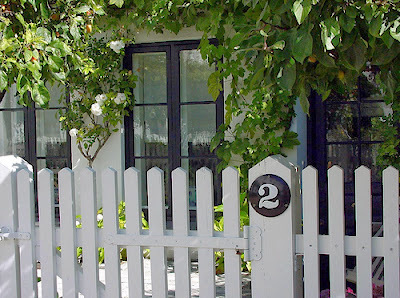 I hope you will stay a while, visit other guest, leave some comment love, and perhaps make a few new friends while you are here. Thanks for hosting the party. 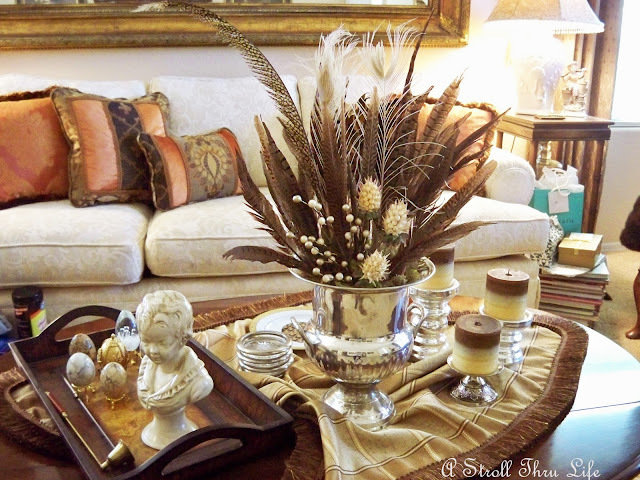 I love the feather and silver vignette!!! Honey, these are all such lovely features. Thanks for always being a gracious hostess! WOW, these are amazing features!! I am in awe--so beautiful!!! THANK YOU so much for hosting this amazing party, my friend! Honey, wonderful features. Thanks so much for hosting, as always. I really enjoyed the features and am on my way to check out the other entries. What great features! Thanks for having us over and for inking up with Home Sweet Home! I am not entering your giveaway because I already won one a few months ago and just got it recently. Thanks for hosting. Thanks so much for hosting your wonderful linky party. Thanks so much for hosting Honey! Hi Honey. Thanks for hosting. 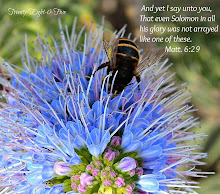 I'm linking up this week Honey! Thanks so much for a fun party! Thanks for hosting, your giveaway is awesome!! Those signs are beautiful. I'm thinking what a wonderful gift for my daughter. I hope I win!! Thank you so much for hosting - I'm off to check some of the other links! I really enjoyed your features, Honey...such a blast! All linked up Honey! Thanx for hosting! I'm off to visit some of your features as well as your linkups. Thanks for hosting this party! Linking up once again - thanks! Terrific features! I really love Marty's Feathery Vignette! Thanks for sharing and for hosting this party each week. Love the features you have this week. Thanks for the party! I love the features again! Thanks for hosting! So many great link-ups this week. Thank you so much for hosting, Honey! Lovely features! Thank you for hosting and have a great weekend! Honey,Thanks for hosting. Have a wonderful weekend. 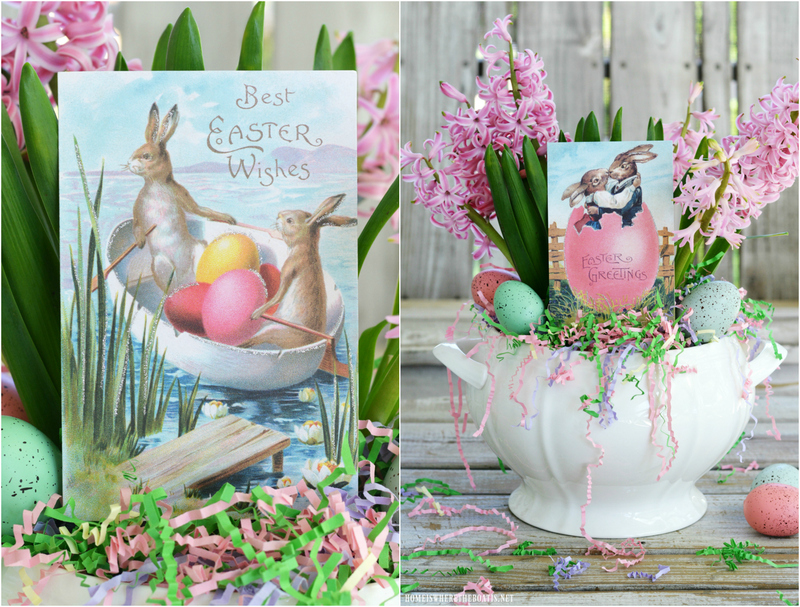 Honey, thanks for hosting another great link party! It's always fun! Your features are wonderful! Have great weekend! Happy Friday Honey. Thank you for hosting the party. It's always a fun place for inspiration. Becky's Table for Two was one of my faves too. Thanks for hosting, Honey! Thanks for hosting the linky party! 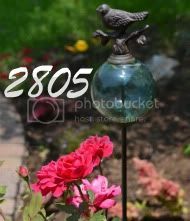 I'm a new blogger and now a follower of 2805! Hey! Thanks for the party! Thanks for Hosting! Beautiful features! Love the feather arrangement! Great features. Thanks for hosting, Honey. Thanks so much for hosting this great party every week!! 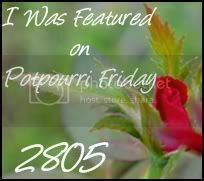 I enjoy linking up to your Potpourri Party each week and wanted to thank you for hosting.. 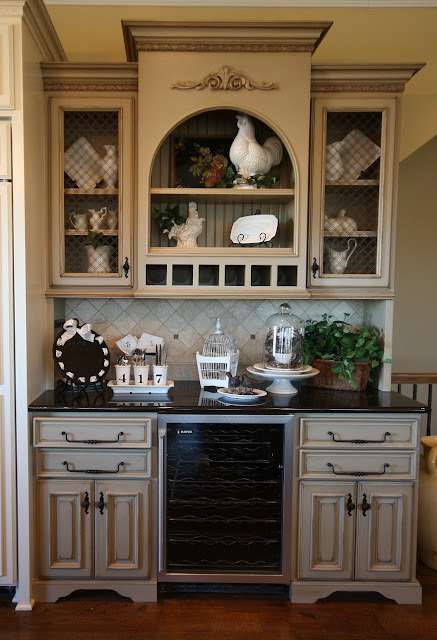 I so love the kitchen in your feature..
Love the featured projects. Thanks for hosting! Thank you sweet lady for hosting again. Hi Honey, I thoroughly enjoyed your features this week!! 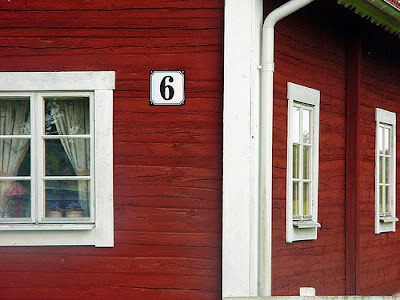 My new favorite is burlap and ticking... Loving the blogpost from Buckets of Burlap.. and I can never resist a good trunk!! 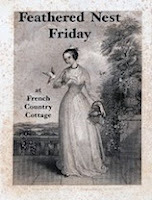 Great features and thank you for hosting and have a fab weekend. I would like to thank you so much for your linky party. Also thanks so much for coming over with your sweet comments on my new tablescape. 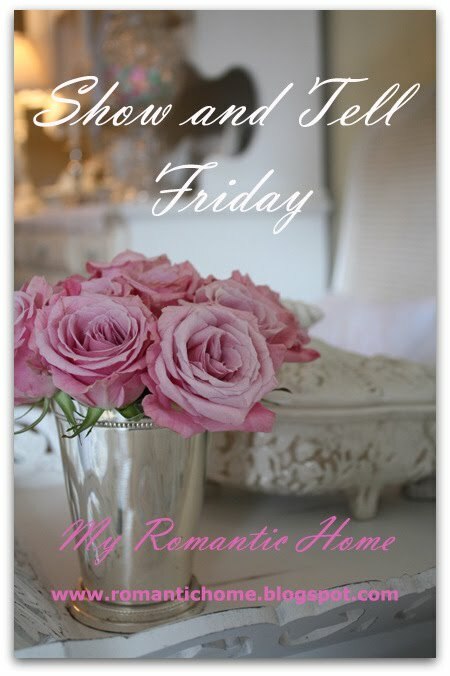 I hope you are having a wonderful weekend with your family. I linked my post late this time but it's always fun. Thanks so much for hosting this party. It's always so much fun. some gorgeous stuff here. rock on ! Thanks for featuring my table, Honey! Loved your party. Hope to get back here soon and link up again.